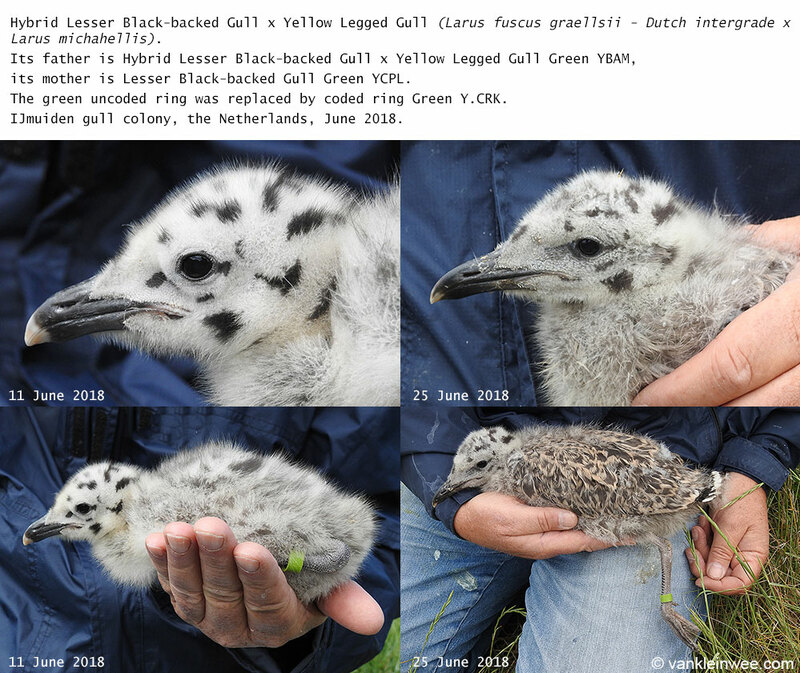 Images of first-calendar year gull Green YCRK, whose father is a (presumed) hybrid Lesser Black-backed Gull x Yellow-legged Gull and whose mother is a Lesser Black-backed Gull. 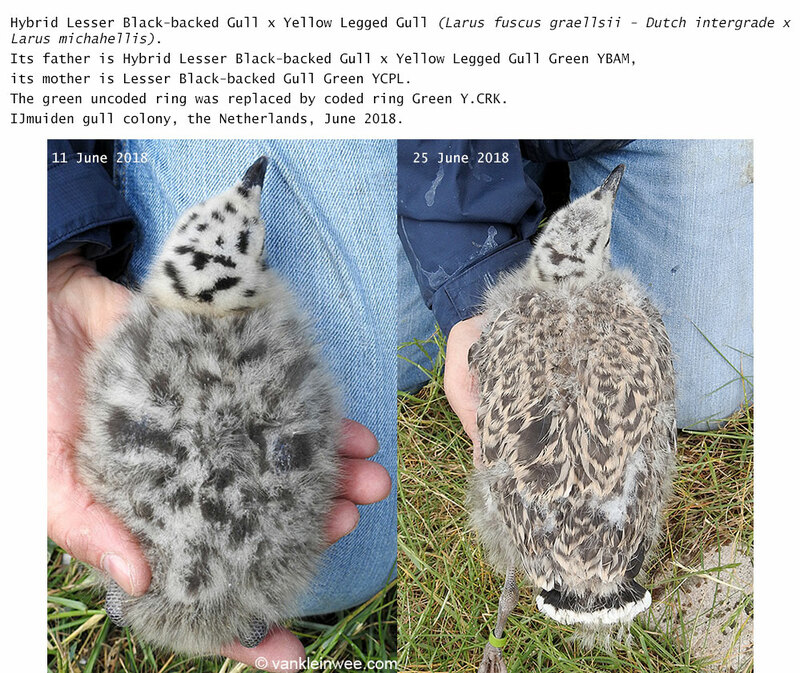 It hatched some time between 28 May and 3 June 2018. 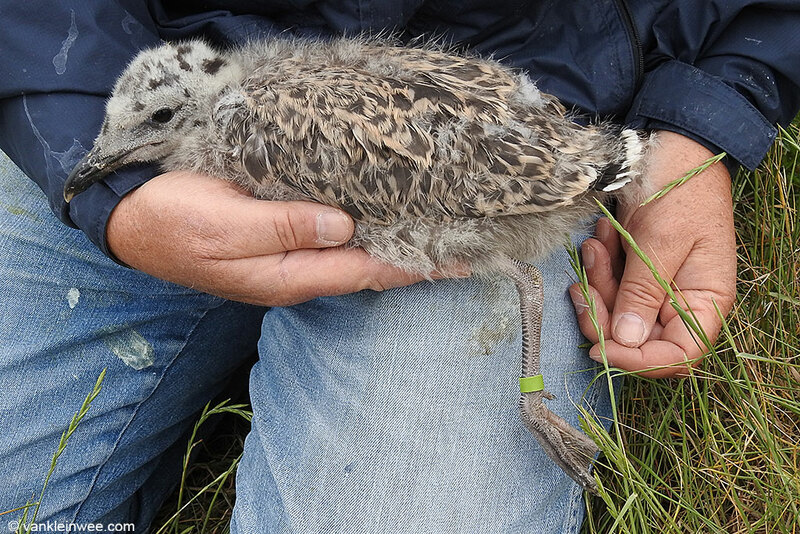 Two other eggs that were laid did not survive. 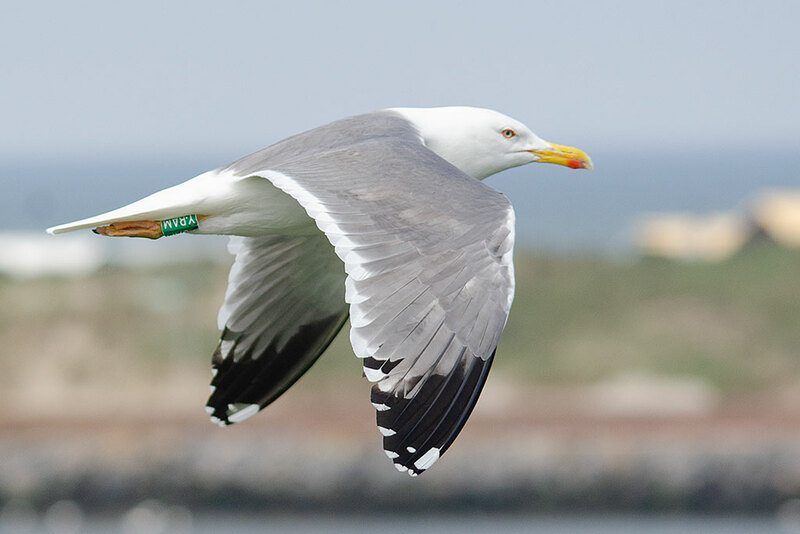 It was initially fitted with an uncoded green ring on June 11 and subsequently fitted with a coded ring Green YCRK on June 25, 2018 in the gull colony of IJmuiden Forteiland, the Netherlands. Below are some images taken on these dates for comparison. Click for a larger view, full-size images are further down. 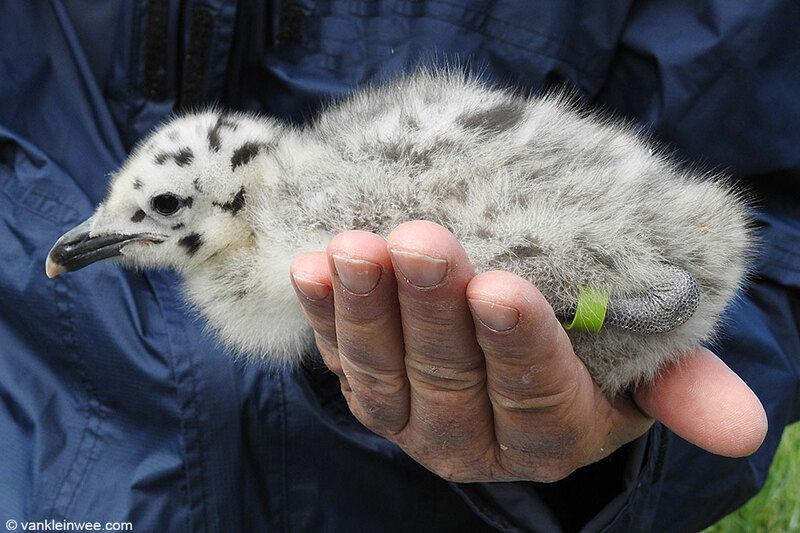 The father of Green YCRK is a (presumed) hybrid Lesser Black-backed Gull x Yellow-legged Gull, ringed as Green YBAM. 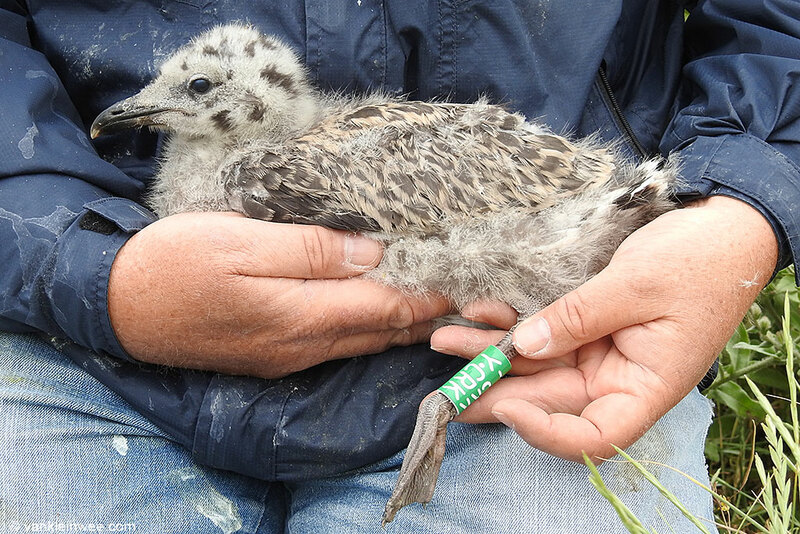 The mother is a Lesser Black-backed Gull, ringed as Green YCPL. 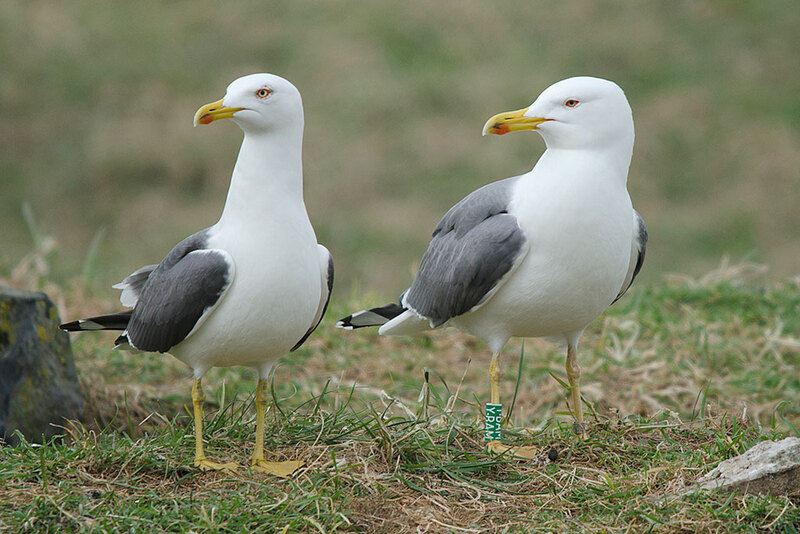 Above: image of the parents (the mother was not yet ringed). 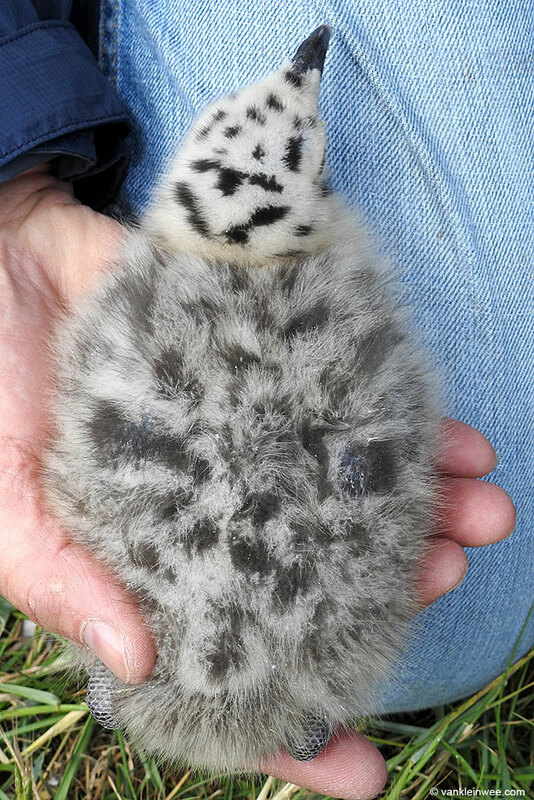 9 April 2018. 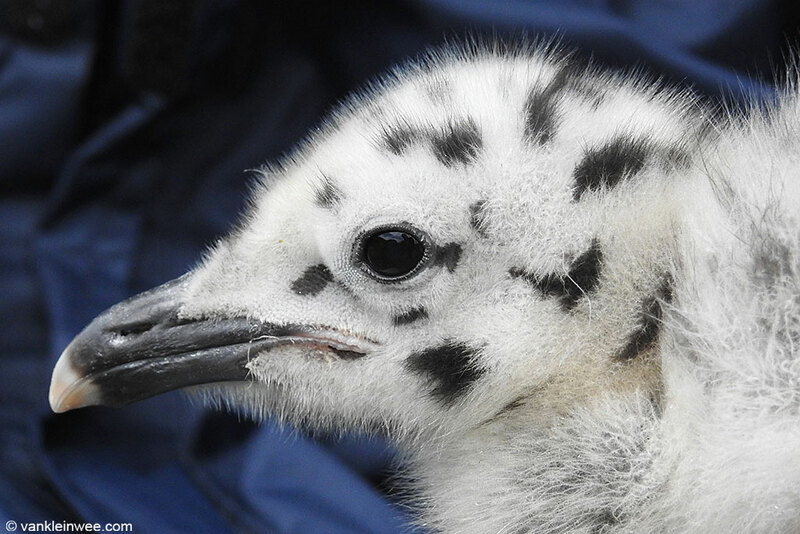 Above: Father YBAM on 4 June 2018, IJmuiden Forteiland, showing its very light mantle colour. On June 11, it was about 2 weeks old. 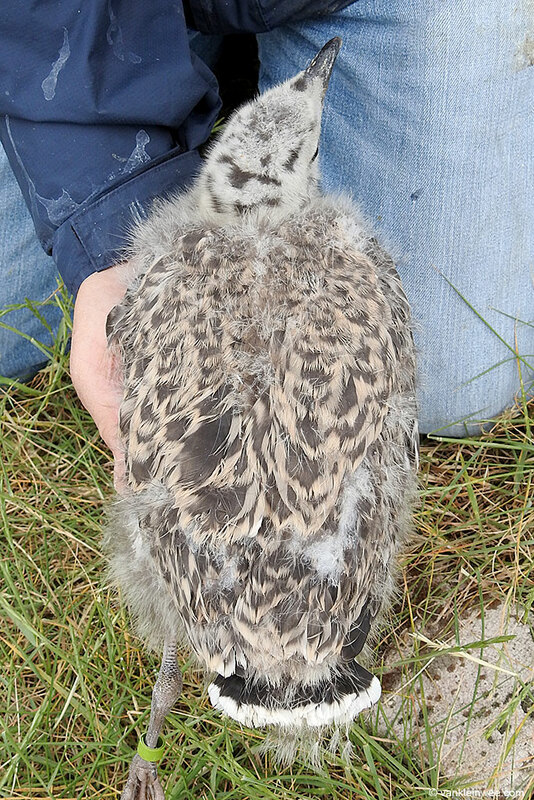 It looked much lighter to us compared to the Herring Gull and Lesser Black-backed Gull chicks of that age in the same colony. 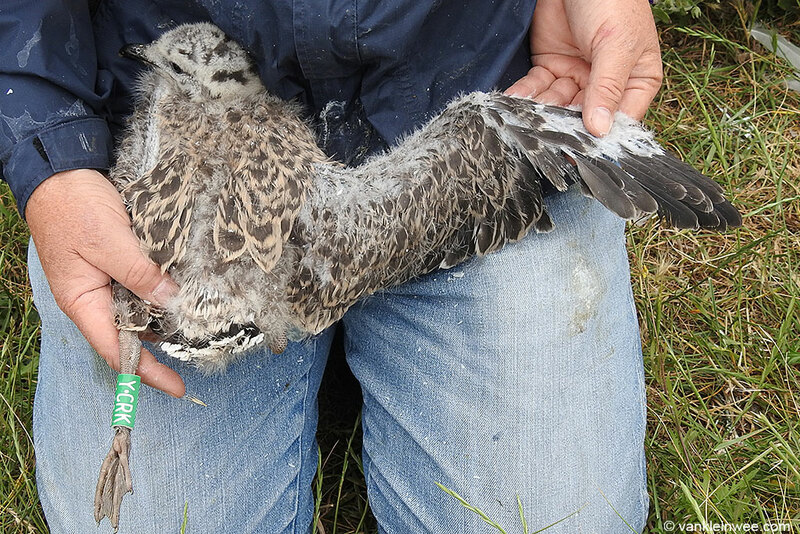 Now about 4 weeks old, many of the feathers on the back and in the wings and tail have started to develop. 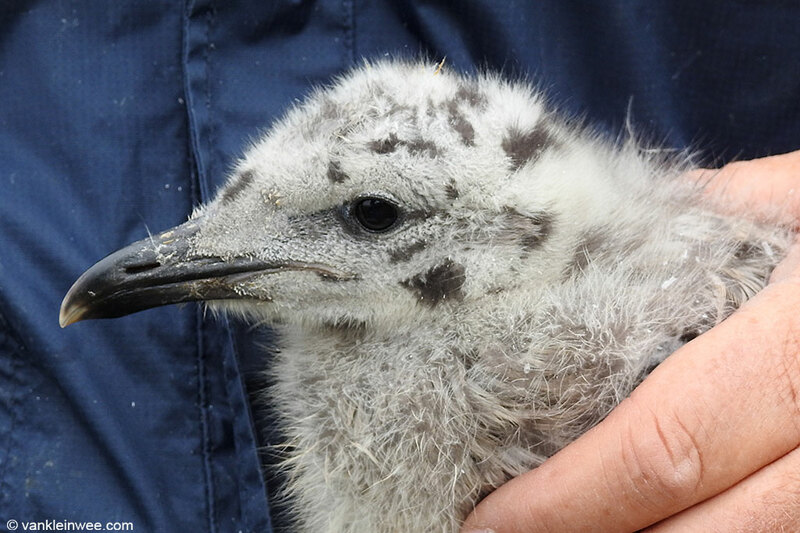 It is starting to resemble a juvenile Lesser Black-backed Gull in appearance.